Distracted driving. It’s a hot topic these days – it seems that technology is steadily advancing, while our common sense refuses to evolve. It’s an issue that, in some ways, exploded overnight. Ever since our provincial government implemented the Immediate Roadside Prohibition scheme, the focus has been centered on impaired driving. As the number of drunk driving related fatalities (supposedly) continues to fall as a result of the IRP system (in fact our Government now says that distracted driving is the leading cause of death on roadways in BC), lawmakers have narrowed in on distracted driving – to be specific, reanalyzing the financial and disciplinary consequences of being caught while talking on an electronic device while driving. Brace yourselves: the pain train is coming. If you’ve been using your phone while driving, trying to send that one last text, or fumbling with your playlist while going unnoticed, all the while scanning intersections for police cruisers…well, today’s the day you might want to quit. As of June 1, 2016, fines handed out by police have increased from $167 to $368. Further, a driver will now receive 4 penalty points instead of 3 – and 4 points is all that’s required for a $175 penalty towards your insurance. So basically, on your first offence, it’ll cost you $543. If you get caught a second time within 12 months, that penalty will cost you $888, and you risk losing your license for 90 days (click here to be redirected to the ICBC penalty point premium information page). It’s important to remember that although nearly every article you’ll read about this topic will use the term distracted driving, the real offence that is being described is the use of an electronic device while driving. You are still safe to drink your coffee and eat your bagel (for now) (and please do so responsibly). Please remember that driving with your cellphone wedged between your shoulder and ear isn’t a legal loophole – it almost worked for this guy, but he lost on appeal). Also make sure to check out this post which touches on the hypocrisy of one of RoadSafety’s policies. It’s also important to remember that the tickets handed out for this offence are not criminal charges, rather, they are issued under the Motor Vehicle Act. As of right now, these violation tickets are still heard before a Provincial Court Judge within the jurisdiction of issue. 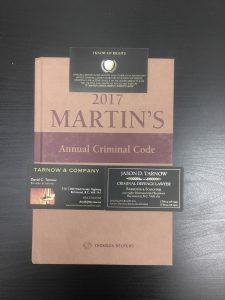 The offices of Tarnow & Company and Jason D. Tarnow Law Corporation are both well equip with criminal lawyers to handle the trials of these matters, in any jurisdiction of the lower mainland, including but not limited to Richmond, Vancouver, Surrey, New Westminster, etc. If you receive a ticket for talking on your cellphone while driving, or any other section of the Motor Vehicle Act, contact our office within 30 days (time limit for dispute) of receiving the ticket for advice regarding the best course of action. We also handle appeals of driving prohibitions that come as a result of an unsatisfactory driving record. Hip hop star Snoop Dogg played a DJ set at Vancouver’s Fortune Sound club on Saturday, April 17, 2016. His travel into Canada, however, was met with resistance by officials at the Canada Border Services Agency (CBSA) – which isn’t anything new for Snoop. He frequently encounters complications when crossing international borders – to note, he was recently hassled by officials in Italy for carrying around $400,000 cash, and was banned from entering the UK in 2006, after he and his posse were denied from British Airways’ First Class Lounge. A brawl ensued, and ultimately, Snoop was permanently banned from entering the United Kingdom (and ever flying on British Airways again). Snoop has previously been arrested for other criminal offences with respect to firearms, assault, and narcotics. It is presumed that Snoop was referred for secondary screening by CBSA as a consequence of his clear endorsement of cannabis. 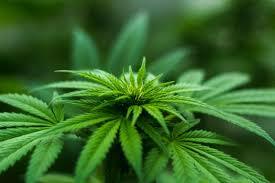 Cannabis is widely used across the US, and is legal in several states for medicinal and recreational purposes. It’s just as frequently accessed by Canadians, and we intend to catch up to our southern neighbors pretty soon (The Liberal government announced that Federal legislation to legalize and regulate marijuana will be making its way to Parliament in Spring 2017). Understandingly, the rapper became enraged at what he observed when he cruised down a back alley in Vancouver’s Downtown East Side – a district riddled with intravenous drug users, disorder, etc. In his Instagram video (link here), Snoop vocalizes his disdain at how Canadian Border officials dealt with his entrance into the country. To sum it up, he basically shames the Canadian Government with respect to how its priorities are organized – clearly indicating that the prevalent opioid use in Vancouver’s DTES should be viewed as a much more serious issue than a little bit of weed. Anyone with knowledge of the differences between marijuana and heroin knows which is the lesser of 2 evils – so it does seem contradictory that we not only condone the use of heroin on the DTSE, but seemingly encourage and accommodate it, too. Insite (which is located near where Snoop’s gig was) is a publicly funded program, and its main goal is harm reduction. The idea is that if we are able to monitor heroin use, we will be able to minimize the number of overdoses, and prevent individuals from sharing and disposing of syringes and other tools. As you might guess, the venture isn’t cheap. The Court of public opinion on law enforcement priorities is harsh, swift, and unforgiving. Snoop’s Instagram rant has received hundreds of thousands of views, and his sentiments were shared by the majority of viewers. If you consider the amount of money that has been directed towards Insite, and the amount of money that is spent annually on investigating and prosecuting marijuana related offences, it’s easy to understand why people are so frustrated with our Government’s stance on cannabis policy. Hypocritical, controversial, and contradictory are the best 3 words to describe our Government’s prerogative on combatting one deadly drug, while ever-so-slowly recognizing the innocuous nature of another. In any event, it’s fair to say that Snoop Dogg is tired of the chronic problems he encounters when travelling from one place to another – my guess is that he’ll continue to hash it out with border officials. The grass isn’t always greener on the other side, anyways. In the decades that we have been practicing criminal law, we have rarely, if ever, seen a violent crime associated with simple marijuana possession or use. Violence is more frequently associated to drugs like cocaine, heroin, and methamphetamine. If you have found yourself in a situation that involves criminal charges related to any of the aforementioned, or any other area of criminal law, call our office at any time for a free consultation.